Beautiful skin is a daily ritual. regular visits AND a consistent home care routine Will give you optimal results. Treat your skin year round with a selection of services that are geared toward results and brelaxation. Treatments utilize Radio Frequency with ThermiSmooth, AHA exfoliants, Micro-needling, and PRP (Platelet Rich Plasma) when surgery is not an option, we have options! Bright Eyes is a treatment geared toward improving the entire eye area. Radio Frequency (ThermiSmooth Eyes) is applied over the eye area including eye lids, making this one of the few anti-aging treatments available for the entire eye and eye lids. Not only is the science of RF an effective anti aging tool, the combination of ampoules designed for the delicate area of the skin will add to the service. This is great for chronic dry eyes and sagging eyelids. There is no down time and your results are immediate. Brighten. Lift. Refine. Hydrate. 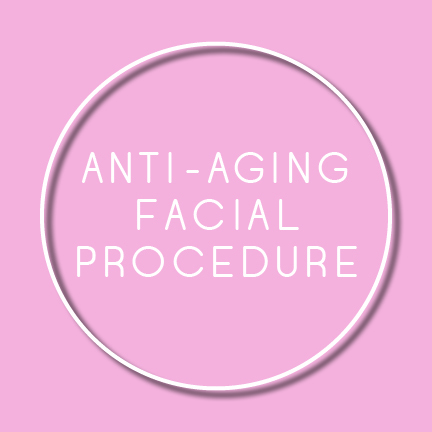 This non-invasive, pain-free procedure is used for smoothing fine facial lines. A hand-held device delivers the radio-frequency energy to the surface of the skin, which heats the cells and stimulates the body’s own collagen production. Treatments can be repeated several times to get the desired results. ThermiSmooth® Face is a great option for erasing fine lines by itself or in conjunction with any standard Botox treatments. The entire experience is incorporated into a facial treatment to include an AHA exfoliation prior to the procedure and concluding with customized products to enrich and nutrify your skin. A protocol for the neck begins with a cleanse and AHA exfoliation mask. After incorporating a customized anti-aging ampoule over the skin, radio frequency is delivered through a hand-held device to the surface of the neck area. This promotes collagen production to help refine the lines and tighten the skin of the neck. Add a connective tissue massage for an additional $30 and 30 minutes to the treatment time for added anti-aging benefits. No one ever said “NO” to more collagen and elastin. 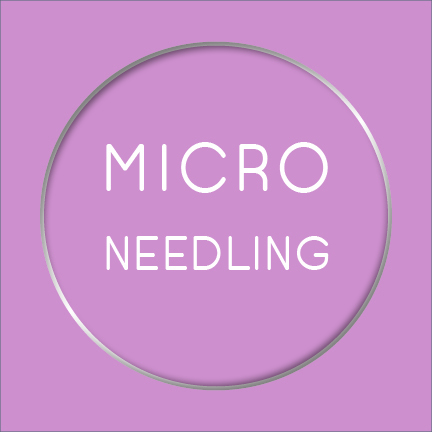 Fine micro-needles rapidly and gently puncture the skin to stimulate the body’s wound healing response. The result is more collagen and elastin production. The depth of the needle ranges from 0.5 - 1.75 millimeters depending on the area of the face. Finish this facial treatment with a collagen fleece mask and you will walk out with your skin feeling refreshed. Best results are seen a few days after and in a series of 3-6 treatments spaced 1 month apart.